Fingal County Council Operations Department in Coolmine recently installed new signs in the tennis courts. 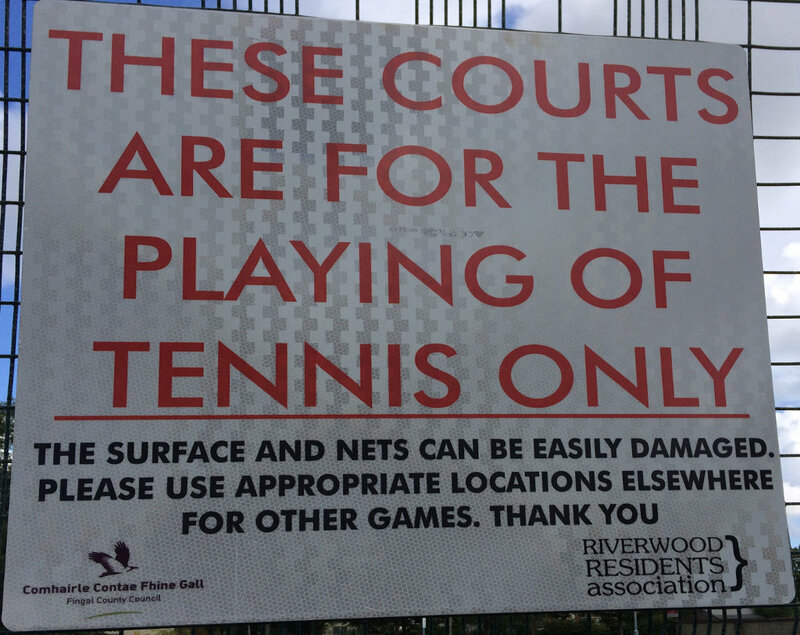 These signs are very much appreciated because they clearly state why only tennis is allowed to be played in the tennis courts – other games can damage the nets and surface. 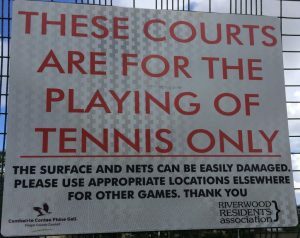 The signs also include the Riverwood Residents Association logo, reflecting our involvement in the passive supervision of the tennis courts over many years. If a resident sees people using the tennis courts for other games, they can tell the people to leave the courts and point to the signs for the reason.